There’s a person in my life that keeps me honest. One of the ways that he does it is to ask, “What have you been reading lately?” It doesn’t necessarily get me on a reading frenzy, but it does make me think about how and with what I have been feeding my soul. Too often I find myself flitting frenetically from one situation to another without the quality intake that I need to face the so-called “tyranny of the urgent.” Pastors are blessed in that it is expected that we read. 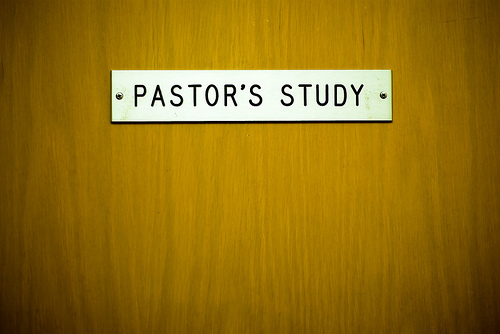 Our offices are often called a “Study,” as if to drive home the point. There’s no better book to read than the Bible, of course. Reading it prayerfully through careful listening to God’s heart is sublime. I really appreciate devotional books that offer more transformation than information. I especially like anything by Chris Tiegreen. He’s my go-to devotional guy. This is soul-reading at its best. Another such book for any potters out there is one that resonates with me: The Soulwork of Clay by Marjory Bankson. Good stuff. “You are a minister of the Word but not of words. The Word was in the beginning before words and beyond words. And whether they weave sophisticated patterns of intellectual magic, or they strike with passion at the heart of the people’s emotions, words are not Word for the Word is inexhaustible. One can only stand in wonder and point.” Wow. Will I stand in wonder and point to Jesus today or limit God either by my poor inadequate words or an overzealous appreciation of my own voice? I want to let Jesus the Logos speak! So there are books that are read for diversion and those that inspire transformation. For escape, I prefer historical fiction, a mixture of mystery and history. Since I like to be surprised, I don’t checkout best-seller lists. Finding a good book is more of a serendipitous discovery that is often aided by wise and helpful mentors. Rabbi Edwin Friedman’s family systems primer, Generation to Generation was suggested by a good friend and has been seminal in my understanding of society, church, and interpersonal relationships. It has actually brought me healing! The Starfish and The Spider and business books by Malcolm Gladwell come to mind as important, but anything by N.T. Wright is even more appreciated. His How God Became King gave me more insight into Jesus than seminary. One of my favorite things to do is to take a mixture of books to Mt. Mitchell or the New River and read for a week. My traveling library will include escapism stuff by James Patterson, Baldacci, Cussler, Jack Reacher novels by Lee Child, and anything with a hint of the Knights Templar. Throw in a few “business” genre books, capped off by N.T. Wright’s latest or Migliore for theology, and I’m set. I do love Clark Pinnock and John Sanders on Process Theology, too, and Barbara Brown Taylor’s sermons are exquisite reading. It also does me well to reread Tolkien’s Lord of the Rings every couple of years while listening to the “Best of the Moody Blues.” It is bliss to know that Frodo lives even after the fires of Mordor! I can hear the hoof beats with the Moody Blues playing on my buds. I will often take with me The Complete Stories of Flannery O’Connor. They are a walk back in time, but they are timeless in their wit and insight. The point of all this isn’t to declare myself as a nerdy bibliophile. To the contrary, I mix it up between the serious, practical, sacred, and mundane. The real deal for me is to take time, Sabbath, and let words enrich me. They transport me to another time, place, context, and give me what I need most: perspective. They provide a creative pause in the rush of life’s crises. Please read more than this blog today! If we don’t take the time to read, we will burn out quicker than a match on a windy day. Let me ask you my friend’s question, “What have you been reading lately?” Everybody needs a study! Previous Thank God for Educators and Schools! Thanks for the nudge. Finishing G2G this week. I recently read Transatlantic by Colum McCann—historical fiction in a way.